Lately the Town of Wake Forest has been under siege from a number of uncertain, unwelcome, or outside forces. Between strange vehicles with stranger people approaching kids or a random driveway robbery, this is getting out of hand. On top of this you have to add the occasional name calling, shoplifting, and random act of skateboard disobedience. A totally unscientific poll of Wake Forest residents walking by CiCi’s Pizza and trying not to make eye contact, found people were generally in favor of instituting harsher hurdles to get into the Town and limit outsiders in order to protect residents of all ages. 51% – Hell yes put the guard shacks in to keep foreigners out. 44% – Will this lower my taxes? 21% – We should just do this around Walmart. 18% – Impeach the Town Media Spokesperson. What do you mean he’s a nice guy and that’s not an option? 11% – Will I have to register my guns? 7% – Sovereign citizens who refused to answer the poll unless it was in all caps. 5% – In favor of legalizing marijuana. Apparently they had the munchies for cheap CiCi’s pizza when the poll was being conducted. 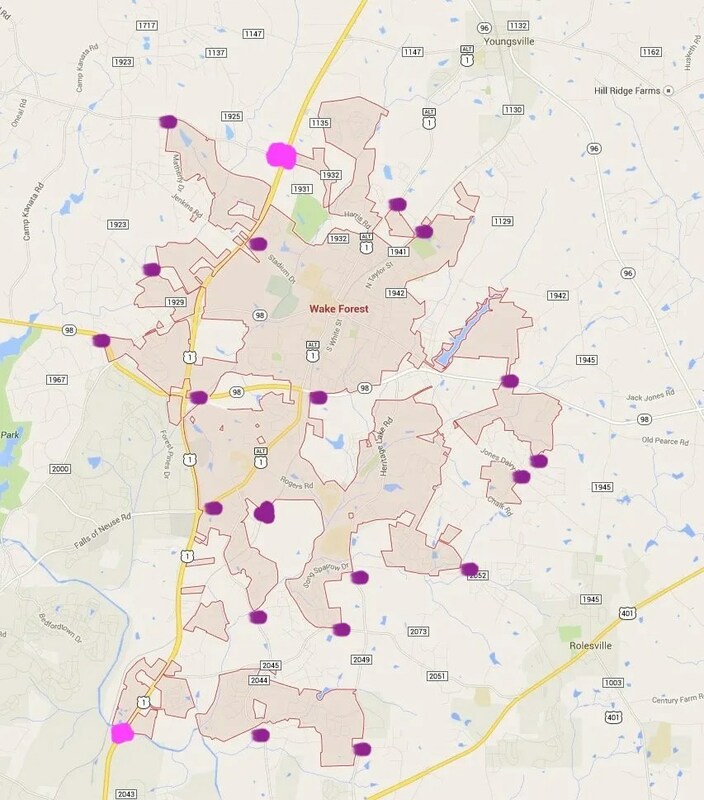 In an effort to try and get some control over the unrampant crime situation the Town Council recently floated the idea of installing military like border guard posts at the intersections into Wake Forest and/or giving gift certificates for Lumpy’s Ice Cream for anonymous tips shared on Facebook with the Wake Forest Police Department. Lumpy’s – it’s damn fine ice cream and sure to get some positive results. A scoop for some scoop. A conviction gets two banana splits. The cost of this quasi-militaryish guard solution would be paid for with tolls gathered from Capital Boulevard drivers. Toll-booths would be installed at the Wake Forest line on U.S. 1 and a nominal toll of 75 cents would be collected from each non-Wake Forest area resident. E-ZPASS will be accepted from all northbound vehicles only. Southbound vehicles would have to pre-pay by mail or turn around. 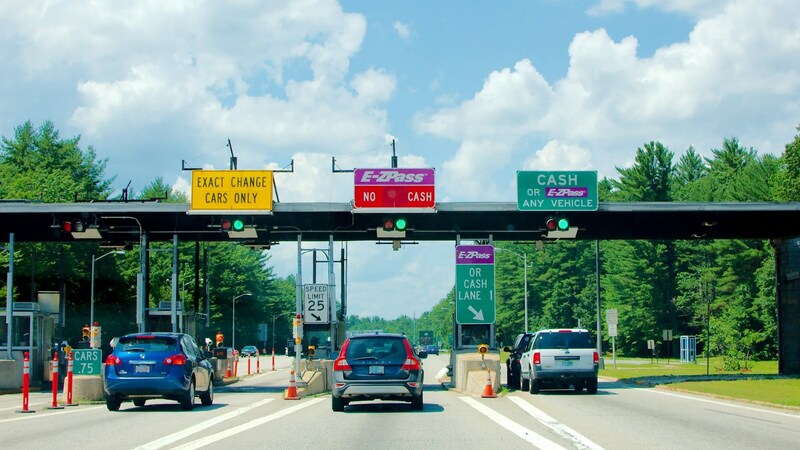 Any Wake Forest area resident passing through the toll booth would earn a fifty cent credit to use at local businesses. It is hoped to minimize the cost of having expensive guard like professional people in the shacks that the guard service be designated a community service and then high school kids could do the grunt work for free. Someone suggested that was probably a bad idea and the committee is waiting for someone to second that motion. “Too many people could sneak in when they are looking at their smartphones and ignoring everything else,” suggested one Town member and parent of teenage children. They have a point. The final design for the guard shacks will be determined following a public contest in hopes of coming up with both a stylish and economical modern guard booth that provides a handicap accessible toilet with fan, high-speed internet (hopefully fiber), cable television service (lower tier only), microwave that automatically does popcorn, police hotline, and low calorie snack bar to promote heart health. 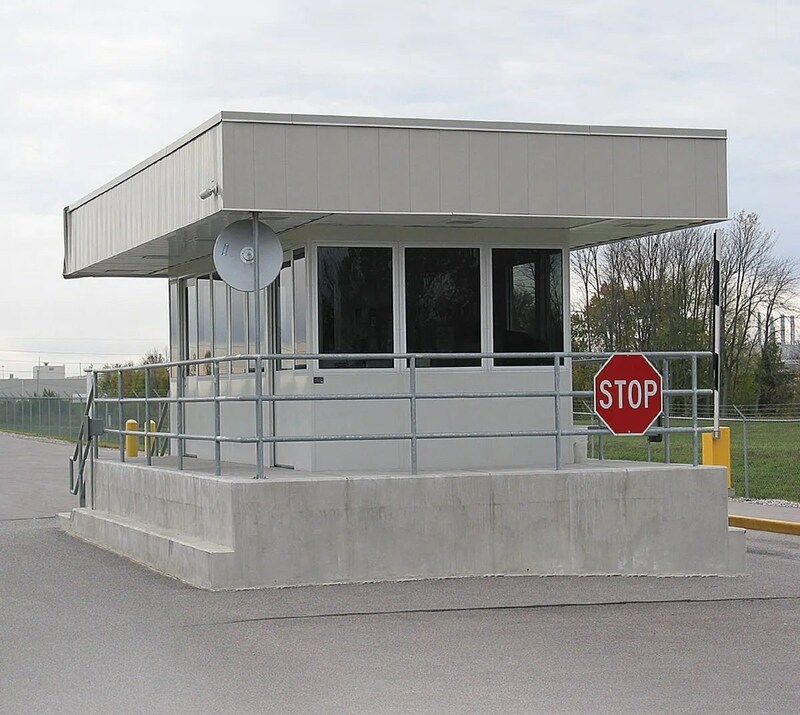 Based on the demands the booth must include, the final design may wind up looking like the guard booth below. Since it is a looming security installation we should expect the outside to look scary and the party all happens behind the tinted windows which outsiders can’t see through. “Hey Bob. Look at that goofball in the blue car,” said every guard ever. In addition, a new Town ordinance will be proposed to allow police officers to issue tickets to any individual who talks to anyone who is ten years younger than them, without that persons legal guardian present. There is no age limit suggested in the initial ordinance language so technically 65-year-old residents will not be able to talk to anyone younger than 55-years-old without fear of getting a ticket. That might not be a bad thing. Toll booths are marked in cyan and proposed guard booths are marked in aubergine. “Wake Forest should probably do this because those of us over in Knightdale have been sending our rejects over to you for years,” said another person who wished to remain unidentified. 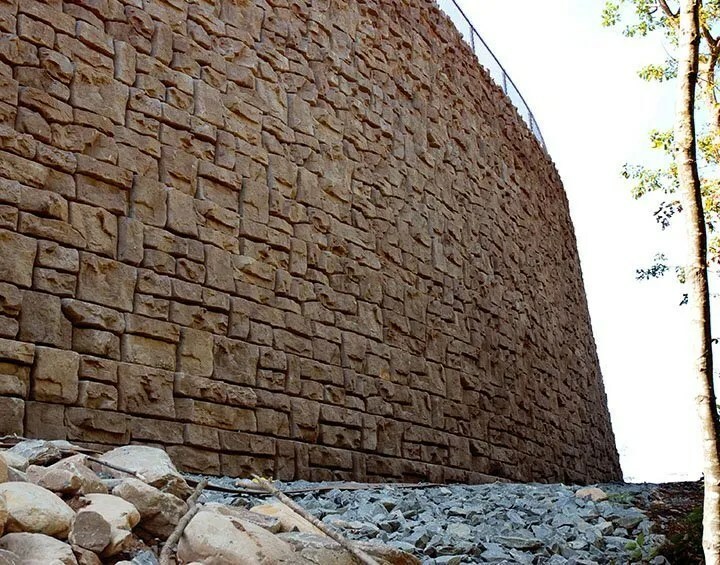 Future rock wall to be built around Wake Forest. There are no plans to institute mandatory DNA testing or fingerprint collection of residents, at this time. However, based on the initial success of gated communities, a Berlin Wall solution might be attractive to the Town in the future. That idea might be considered in Phase II using a U.S. government grant which could be amplified with State funds. And then only if it can be a tastefully constructed artisan rock wall with sustainably crafted barb wire. “We’d just do it better than Hassentree. You know, the exclusive high-security community with the guard booth at the front entrance on NC 98 and nothing at the back entrance,” said a man who desperately wished to be identified. “My name is Bill Gamelcheck,” he shouted while giving us a five finger wave. One concern is limiting access to the Town and local businesses will have a knock-on outcome and create an economic downturn when people can’t get in to spend their money. It seems the real question is what happens when the borders are sealed and something bad happens. Does everyone leave? That is yet to be determined. Initially it is expected property values will fall since outside real estate agents and prospective out-of-area buyers will not be able to get in to look at homes. The Town is accepting recommendations on how to handle that problem, along with the dilemma of sleepovers and birthday parties which may include out of area kids. Residents outraged over this potential solution are invited to stop by Town Hall and get a free giant F to put on their car. This story is part of on ongoing series of reports about upcoming changes in Wake Forest like the Wake Forest International Airport. I have no words, just laughter! Ok how many angry calls do you get from people thinking this a absolutely real…. Great work again. Right up there with the new airport. Too funny! Thanks for the enjoyable read! This was great! A great lunchtime read. I'm sorry! But really!! I live Franklinton and 98% of my time is spent in WF! Are saying we would have to a toll fee!! And do you realize how many toll stations that would take? You need to re-think this idea!! This is hysterical!! I have lived the WF area for over 35 years. I have been all for CLOSING the gates 20 years ago. Too many yankee's moving in, I'm smiling. However, my house is going up for sale next week maybe we can let in one more yankee….then I am OUT OF HERE! This has to be a joke, it is the dumbest thing I've ever heard, it would be like living in a prison !!! Unreal! Some folks will actually believe this ridiculous joke….. North Korea here we come…!!! And it isn't even April first. They will just colonize in Rolesville then forcibly annex you with imminent domain. Excellent. Excellent. Excellent! Great job!